What’s the #2 mindset problem experienced by intelligent women? 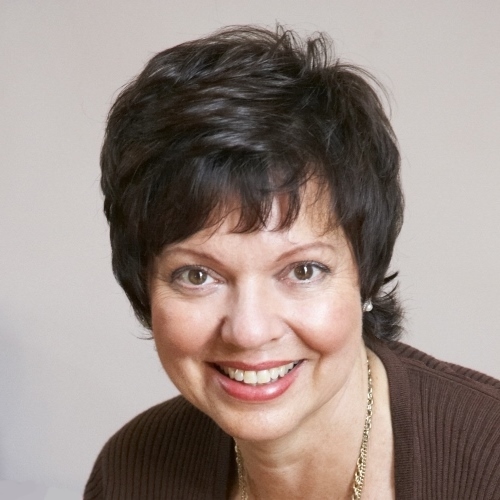 I’ve been inviting entrepreneurial women to take part in a survey recently. I want to know which mindset blocks and unhelpful thoughts, emotions and habits are getting in the way of you delivering what you’re capable of. Today I’m going to give you one tip that could become the start of your new action-taking habit. Now setting goals, detailed planning and timetabling are all useful but the most important thing to do if you have a talent for putting things off is TAKE ACTION. That sounds like a statement of the blinding obvious – if you could take action, you wouldn’t be a procrastinator! The chief cause of procrastination is inner resistance and interference from your unconscious mind, but it is possible to start an action habit by stealth – to drop in under the radar, before your unconscious mind has had time to sound the alarm klaxon. This tip incredibly simple but it’s extremely effective at getting around your inner resistance. I mean really tiny ones that don’t feel like effort at all. The key is to do them right away and do them regularly. So if, for example, you’ve been putting off getting fit, try this. Just before you climb into bed tonight, lie on the floor and do three pelvic tilts. That’s it – just three. You don’t need any kit, you don’t need to change your clothes and you’re not going to get sweaty or sore. By the time your unconscious mind realises you’ve actually taken an action, you’ll be tucked up in bed, feeling pleased with yourself. Then tomorrow morning, when you get out of bed, do exactly the same thing. Repeat the three pelvic tilts morning and evening, for a week. Then, next week, add a second exercise and do three of those after your three pelvic tilts. If you’re a habitual procrastinator, your mind could accept this stealthy way of exercising more readily than if you set yourself a major challenge. Gradually increase the reps, time spent and difficulty level. It’s a painless way to start forming a new habit and your mind may not try to resist this tiny step at the beginning. The baby steps approach can work for any new habit you want to form. Start from where you are, with one tiny action. Just make sure you do it regularly, and slowly build up the time you spend doing it. This goes for writing, tackling your accounts or admin, eating healthily, cutting down on sugar (e.g. start with half a spoon of sugar less in just one cup of tea a day and build from there), and so on. Within a few weeks, you may find that you’re doing it automatically and your resistance isn’t kicking in. Your tolerance has increased and you may even find a hunger to do more. Now you’re open to stretching yourself that bit further so you can set a goal, create an action plan and schedule your actions. 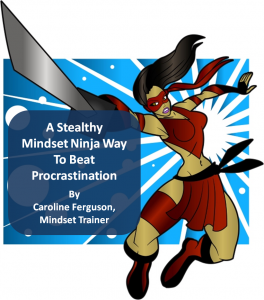 If you’re determined to kick your procrastination habit, let me help you. My two-week programme, “Get the Darned Thing Done! How to Beat Procrastination and Become an Action Taker in 14 Days Using Mindset Magic”, has helped dozens of people to rewire their mindset and take action. You can read about one person’s experience in a UK national newspaper. There’s a course starting every few weeks so take that first action and book your place now.